Congenital atresia of the ear is a condition where the ear canal does not develop properly or fails to develop at all. The condition most often affects the right ear, but can occur on the left or both sides. Congenital atresia can occur by itself or in conjunction with other head or neck abnormalities. It is imperative that children with clinical atresia of the ear are assessed and monitored for hearing loss that can affect speech development and school performance. Statistics show that approximately 30 percent of children with one-sided hearing loss will be held back at least once before graduating from high school. Most children with congenital atresia of the ear are diagnosed at birth due to a visibly malformed outer ear. 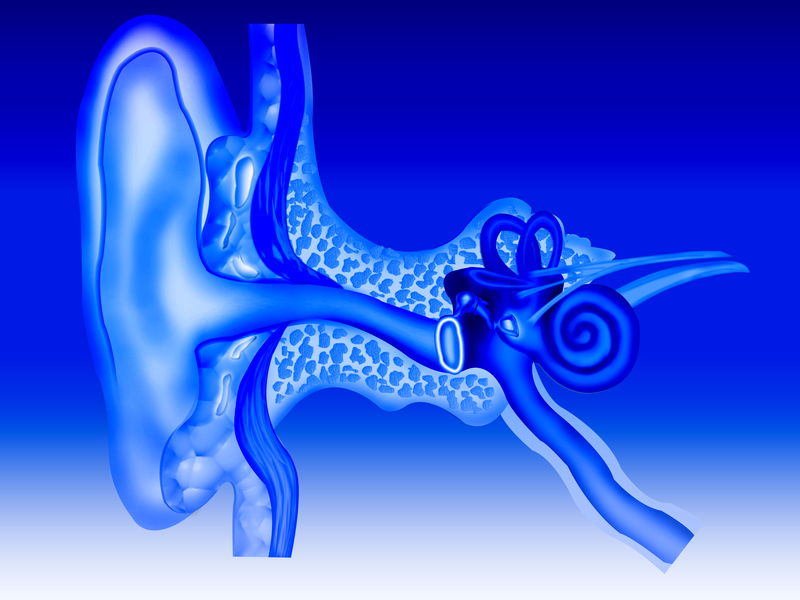 An audiologist can perform a hearing test called an ABR to evaluate the function of the cochlea, which is the hearing organ located in the inner ear. There are a couple of options available to correct the appearance of the malformed outer ear. A prosthetic ear can be constructed that is a mirror image of the normal ear. The prosthesis is anchored to the head using surgically implanted titanium screws. Another procedure involves harvesting rib cartilage that can be used to reconstruct the ear. This technique typically requires three to four procedures performed over several months to reach the final result. Various rehabilitation options are available to improve hearing function for children with congenital atresia of the ear. A bone conduction hearing aid can provide a non-surgical way to improve hearing. The device sends sound to the inner ear by vibrating the bones behind the ear. This type of hearing aid typically comes in a device that is similar to a headband that will hold the hearing aid in place securely behind the ear. A bone anchored hearing aid, or BAHA, is an implantable hearing device that directly stimulates the inner ear. A BAHA can be used in patients with congenital atresia of the ear who cannot benefit from traditional hearing aids. This type of device does provide the best hearing results and is easily hidden under the hair, which makes it more aesthetically pleasing than other types of hearing aids. A BAHA does require a minor surgical procedure to place the titanium implant. The procedure is performed on an outpatient basis and typically takes less than an hour. The three bone anchored devices currently on the market include the Sophono, Baha (Attract or Connect), and the Ponto device. A surgical procedure can be performed to open and reconstruct the ear canal, which is then lined with skin harvested from the arm or leg. A CT scan of the bone surrounding the ear is required to ensure that the anatomy of the ear makes surgery feasible. While the surgical opening of the ear canal can provide hearing for patients with congenital atresia of the ear, the results will never be as perfect as the normal ear. Individuals with the condition do not have an ear drum, and the bone structure of the ear is not normal. This means that sound conduction can be affected even after the canal is opened. There is also a risk that the canal could reclose as the result of inflammation or infection of the ear. The goal is to improve the hearing to the point where the patient will not need a hearing aid.